I'm a little concerned about the reviews over at Amazon on the traffic that is sent to China from this camera. I'll pass. "Why are your cameras sending data to non AWS servers? I consistently see UDP traffic (port 10001) heading to Japan, Germany, China + other locations. 45.79.98.243, 45.32.19.31, 45.76.82.115, 106.15.0.207, 192.240.123.153, 192.240.110.98"
"Not sure about how secure it is. They say they utilize a 3rd party called ThroughTek (offices in china and japan - none in US) to handle the transfer of videos. 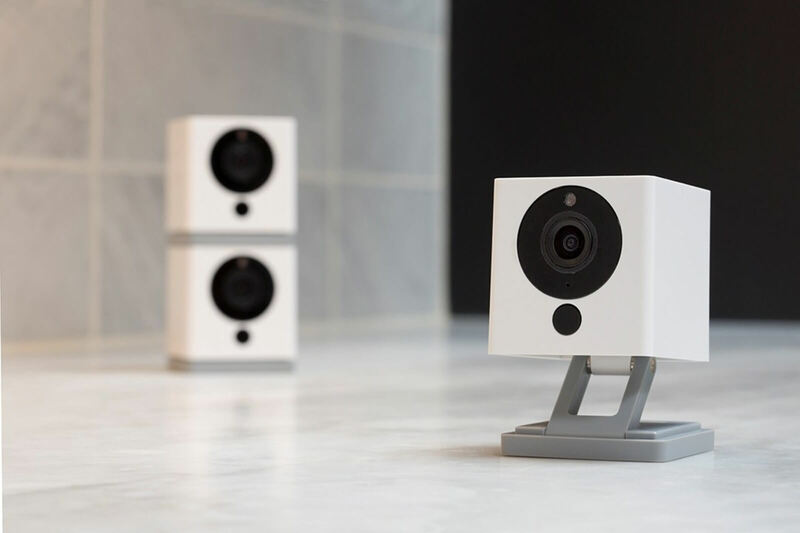 Wyze Cam claims the content is sent securely to aws. Examining the network traffic from camera shows that content is routed thru many providers including AWS, Linode (US) Vultr/Choopa (europe) and Aliyum/Alibaba (china). They seem to also utilize NTP server in Russia. To get more details.. search on web for "WyzeCam sending data to servers other than AWS" and you will find a Reddit article. How does Wyze ensure that ThroughTek is not eavesdropping?" Yeah, I find it hard to believe that the BoM is less than $20, never mind significantly less than that in order to turn a profit after R&D, shipping, packaging, and marketing. I'm betting there is some information sales going on here. I've got two of these cameras watching doors, frankly I don't care where its sending data I just appreciate the instant notification of activity on the app... Not to mention the onboard microsd for saving data locally! If somebody in China or Japan wants to watch video of my parked vehicles when they are unattended, or my entry to the garage, or my front door, or even my shed, then they must REALLY be bored to death, almost literally. If they find it entertaining or enlightening, more power to them. I could care less in those cases. I fully understand the concerns though if the product is used in your house where more private matter might be seen or discussed. In that case, it is a concern, and one that should be addressed by the appropriate departments including the FCC and DOD. There is no actual reason why anything should have a need to leave our borders, phyically or virtually. Since I would only used these for more menial monitoring, I really have little concern over that particular though. These people whining about data routing through other countries when everything we do is already routed through the US intel overlords first. Hilarious. I don't get it... almost everything is routed around the world. Facebook sells your **** to the highest bidder. Email accounts on yahoo and MS are hacked religiously. China put a chip into 30 million devices to spy.... so I'm pretty sure passing on this camera isn't doing anything from keeping your info in china.